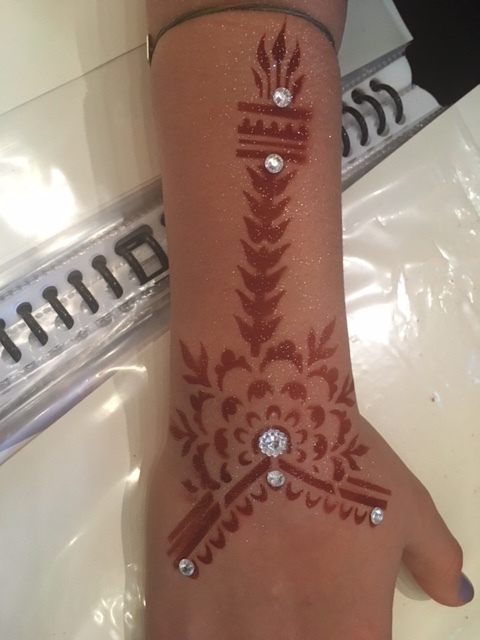 We are offering a fun new service called Henna Airbrush. 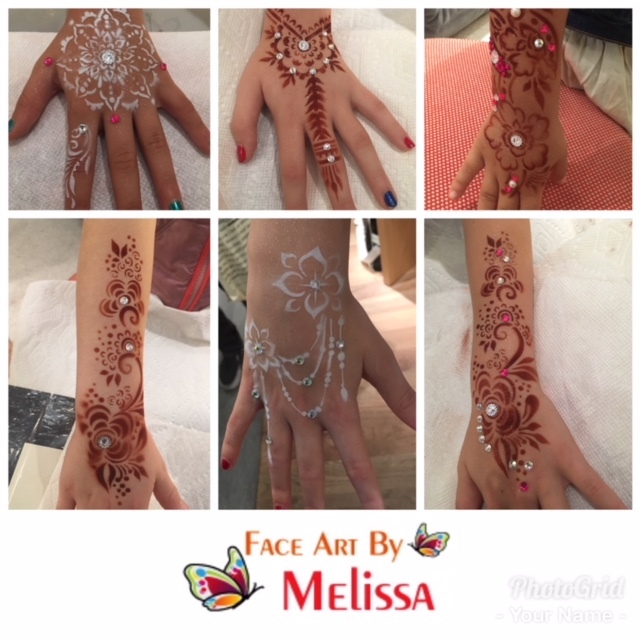 Not real henna, the designs are created by airbrushing a beautiful henna colored makeup through henna inspired stencils. It dries instantly. No paste to smear and no waiting for your design to dry! 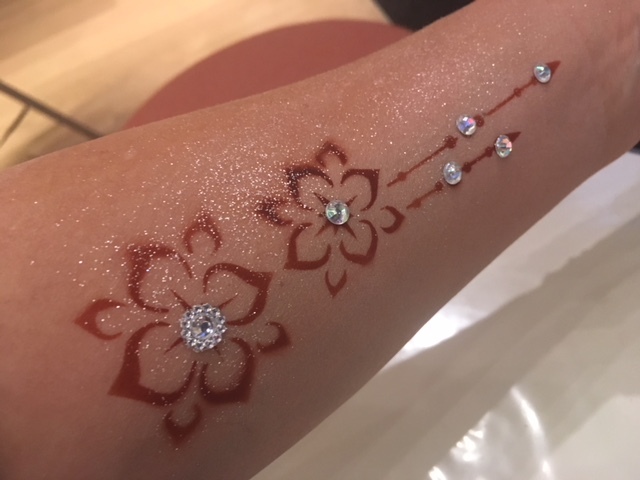 Along with a bit of glitter and some jewels, it is a beautiful add on to any event and works great for both kids and adults. While it is very durable and water resistant, it removes very easily with liquid soap or rubbing alcohol. 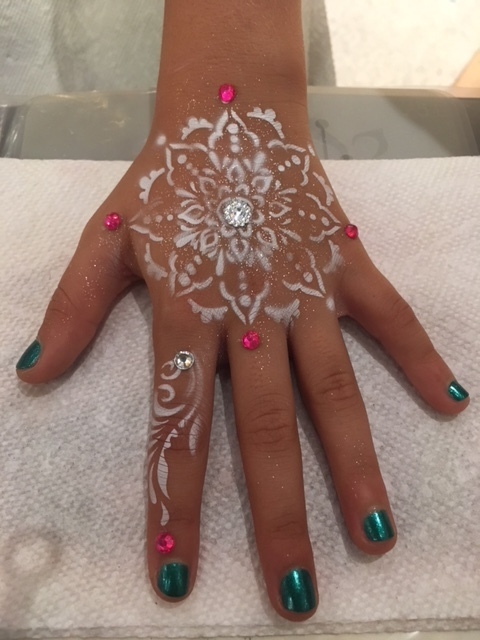 Henna style airbrush with white makeup is also very beautiful and very popular in the Hamptons during the summer!